Why aren’t all splitboards made with this sort of shape? The Jones Mountain Twin Splitboard is the sort of board any resort rider can jump on and instantly fall in love with splitboarding. 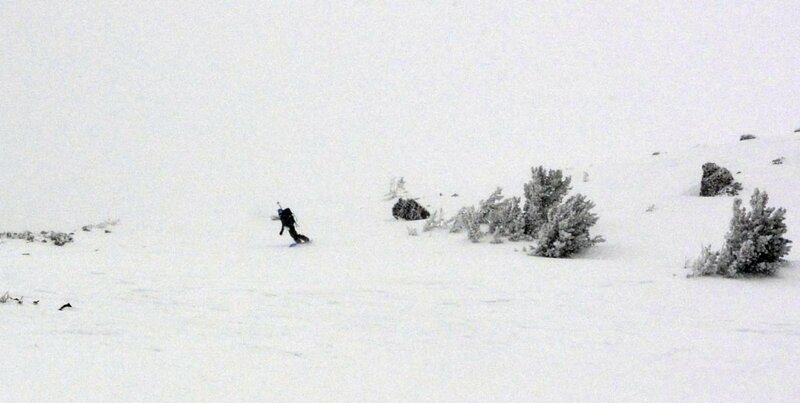 It’s really that simple when you jump on a splitboard like the Jones Mountain Twin. A true twin or directional board with a similar tip and tail profile will be easier to ride. If the snow’s going to be super deep, simply put your bindings in the backseat. Unlike some splitboards the Jones Mountain Twin does not come built on a setback stance according to the specs below. While the Jones Mountain Twin is not classified as a true twin splitboard it surely looks like one. This leads me to believe this is actually a “true twin tip snowboard”. Perhaps Jones is marketing it as a Directional All Mountain Board to generate more interest within the splitboard community… Splitboarders tend to laugh at boards like this? They must have drank the punch thinking splitboarding should be different than snowboarding. One thing to keep in mind with splitboarding is everyone is not Jeremy Jones, most of us don’t use ice axes or crampons for that matter. 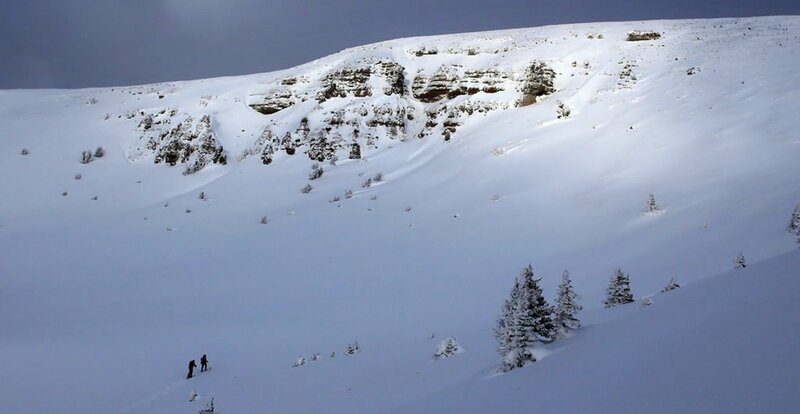 It’s easy to think of splitboarding as big mountain riding when most of the time it’s not. So to ride a board that is unlike what you would normally feel comfortable on at a ski resort is simply a recipe for disaster. One thing that has turned people off from splitboarding is how the board looks when the two skis are connected. Early splits, especially the hand-cut ones would have a noticeable gap between the board. New manufacturing has taken a lot of that space away. Jones has teamed up with Karakoram by utilizing their Karakoram Clips which really help bring the board together, locking everything into place securely. Splitboarding should be easy, effortless and efficient both on the way up and on the way down. Camber underfoot is key when it comes to applying pressure on the skin track. Jeremy Jones and the crew at Jones Snowboards have figured this out, they are splitboarders after all. When it comes to going uphill the Jones Mountain Twin Splitboard can hold it’s own against any other board out there. You won’t have to worry about sliding out backwards as the camber keeps you in place. Especially when paired with with the Jones / Pomoca skin combos that are available for all Jones splitboards. It’s a pretty darn foolproof system. 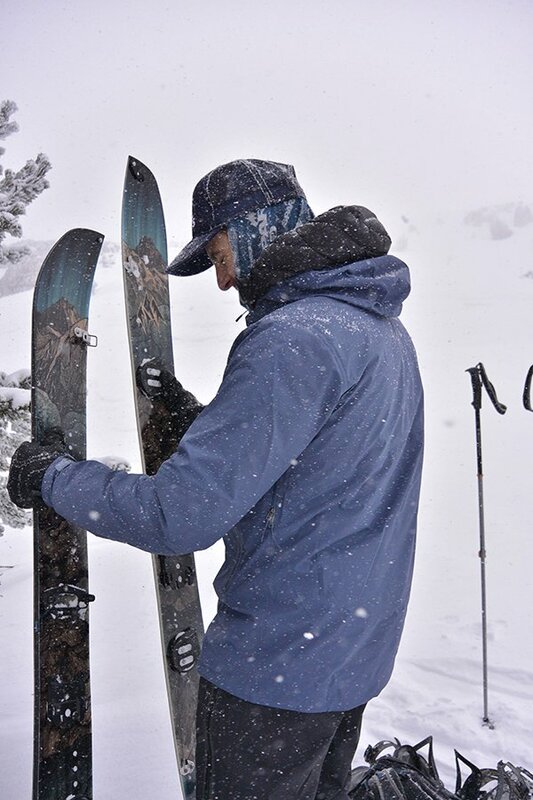 Jones even took things a step farther by adding notches in the tip and tail of their splitboards which help keep your skins in place while touring. Another great innovation from actual splitboarders. The Jones Mountain Twin Splitboard is available in 3 sizes 157, 160 and 161. I actually ended up on the 157 which normally would not be my pick sizewise as I’m normally in the 161-163 splitboard range. However, this board still kept me afloat, was easy on the skin track and super fun when it came to making the backcountry a giant video game. 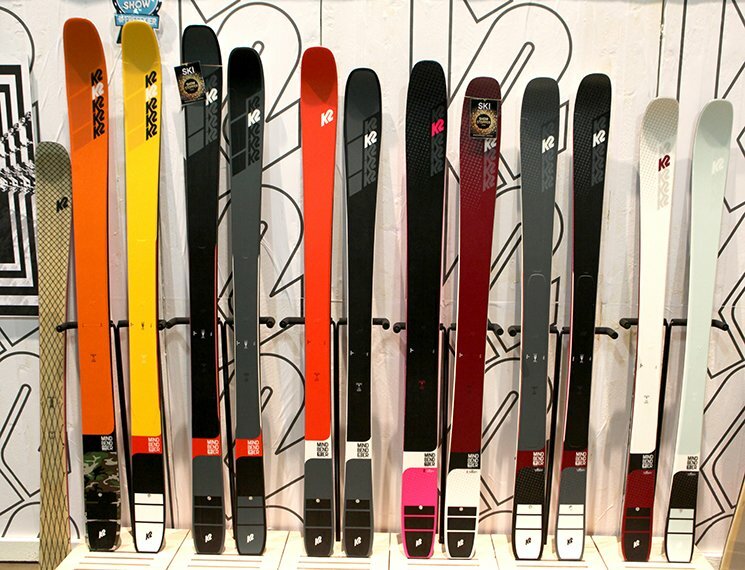 Although there are more popular splitboards available from Jones Snowboards and other brands in the industry. The Mountain Twin Splitboard continues to fly under the radar. This is the sort of splitboard that when paired with the Karakoram Prime Connect or Union Expedition Bindings could easy be ridden inbounds without sacrificing performance. 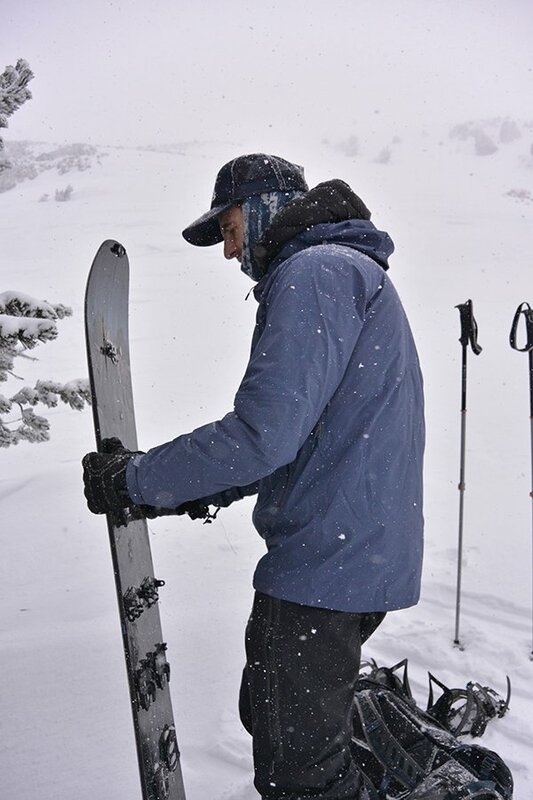 Splitboarding takes some time to figure out the kinks, especially if you’re board is sized considerably different from what you would ride at the resort. Would you feel comfortable riding your favorite tight tree / technical chute line on a snowboard that was sized up 4-5cm or more? With the Jones Mountain Twin Splitboard you can ride with confidence in a variety of snow conditions. Best of all you can send pillows and jumps for days on this board while appreciating a more freestyle friendly approach to splitboard designs. Last but not least, the Jones Mountain Twin Split ($779) made our list of best splitboards of the year with a retail price about $200-$300 under the other splitboards on the list. Throw that extra cash towards some new bindings and get stoked with the Jones Mountain Twin Splitboard. So judging from the header photo, even with the Karakoram clips the two planks slide lengthwise, tending to loosen the tip and tail hooks, and resulting in clatter and perhaps poorer torsional stability. Should I stick to my Voile clips and hooks 🙂 ? I guess the clips are adjustable. Some people love Voile, while others are on the Spark train and others find Karaoram to work best. I have been considering tinkering with something myself or asking the fabrication shop in town what they recommend. I do notice with the K clips you can pull the board apart and put it back together when the clips are locked down? So, is it a true twin or directional twin? If the stance is the same on the nose and tail (not set back). is the tail stiffer than the nose? 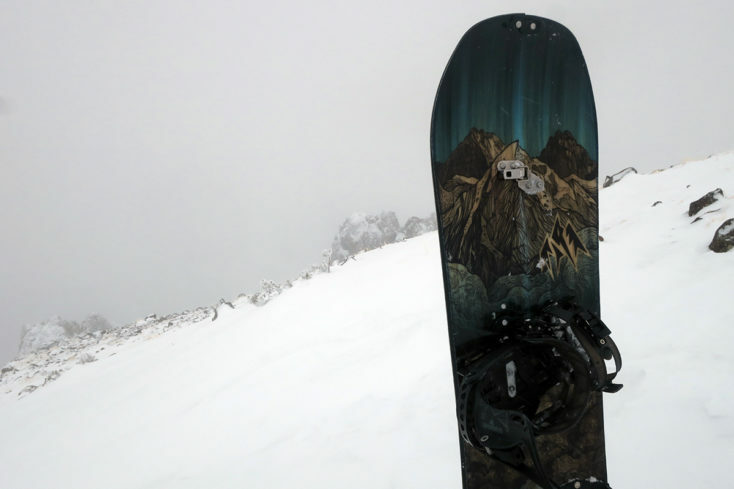 the camber profile is CAMROCK,” A unique rocker/camber flex pattern defined by evenly balanced tip and tail rocker and camber between the bindings. CAMROCK improves freestyle finesse by keeping your tips playful while maintaining the power and pop of camber underfoot”. just curious because I am in the market for a true twin split. It’s a directional twin, -20mm setback. Feels almost like a true twin.